Dr. Farahat Anuscheh, LL.M. (Berkeley), leads an Emmy-Noether research group on the role of constitutional courts in transnational solidarity conflicts in Europe at Goethe University Frankfurt a.M. funded by the German Research Foundation (Deutsche Forschungsgemeinschaft). 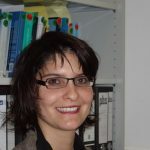 She is also a Senior Research Affiliate at Max Planck Institute for Comparative Public Law and International Law, Heidelberg. Anuscheh Farahat has studied in Frankfurt, Paris and Berkeley. She received her PhD in law from the Goethe University Frankfurt. Her book on migrant citizenship and transnational migration in Germany (Progressive Inklusion: Zugehörigkeit und Teilhabe im Migrationsrecht, Springer Verlag, 2014) has received multiple awards, including the Herman-Mosler-Preis 2015 of the German Society of International Law. She publishes widely on issues of European and German constitutional law, German and international migration and citizenship law, and comparative constitutionalism. Her current research project focusses on the role of constitutional courts in transnational solidarity conflicts and separation of powers in a transnational context.